Paul Leach beloved son, father, grandfather, and friend, has ended his battle with cancer. In the afternoon of November 20, 2018, one day before his 81st birthday, surrounded by family, he peacefully took his last breath. The youngest of three, Paul was born on November 21, 1937 in Marietta to Everett and Goldie Leach. The family would move from Southern Ohio to Kenmore, where he would graduate high school. After high school, Paul entered the army with his two best friends and served from 1955-58. After a short stint as a salesman, Paul eventually came into his life’s career as an officer for the Akron Police Department from 1963-1999 and would work as a security guard for Roadway after he retired. In addition to his parents, Paul was preceded in death by his brother, Ray Leach, and step-daughter, Susan Taylor. He is survived by his beloved family; Lisa and Vince Herold, Bryan and Emily Watroba, Lindsay Herold, Dorothy and Gene Krannich, Peter Povich, George and Pam Wetzel, Christian and Cory Taylor, and Nikki Rollins; as well as all remaining family, friends that have become family, and most important of all, his beloved, blind dog, Jack. 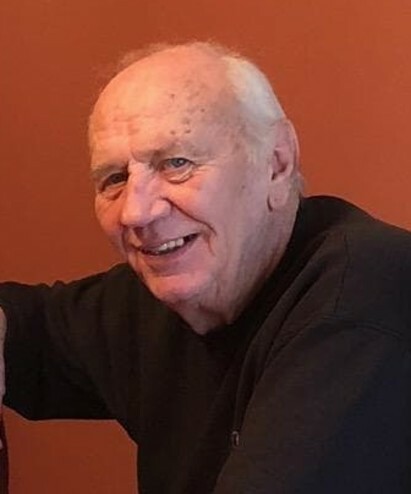 A funeral service will be held at 6 P.M. on Tuesday, November 27, 2018 at Schermesser Funeral Home, 600 E. Turkeyfoot Lake Rd. (SR 619), Akron, Ohio 44319 with John Stahl officiating. Family and friends may call on Tuesday from 4 P.M. until the time of the service at the funeral home. Memorial contributions may be made in Paul’s name to Humane Society of Summit County, 7996 Darrow Road, Twinsburg, Ohio 44087. To leave a special message online for the family, visit our website at www.schermesserfh.com.